Back in August I bought and Olympus OM-D E-M5 camera. This is a small camera and is part of the micro four-thirds system. I was looking for something that I could carry around much more readily and had really good image quality, which this camera has in spades. Plus it’s just fun to shoot with. I have a bunch of images that came from it that I am happy with and will probably post little things about the camera as I post the images. This shot was taken in Chicago while I was there for a conference. The small sticker that read “WE DON’T NEED YOU ANYMORE” is actually what caught my attention. 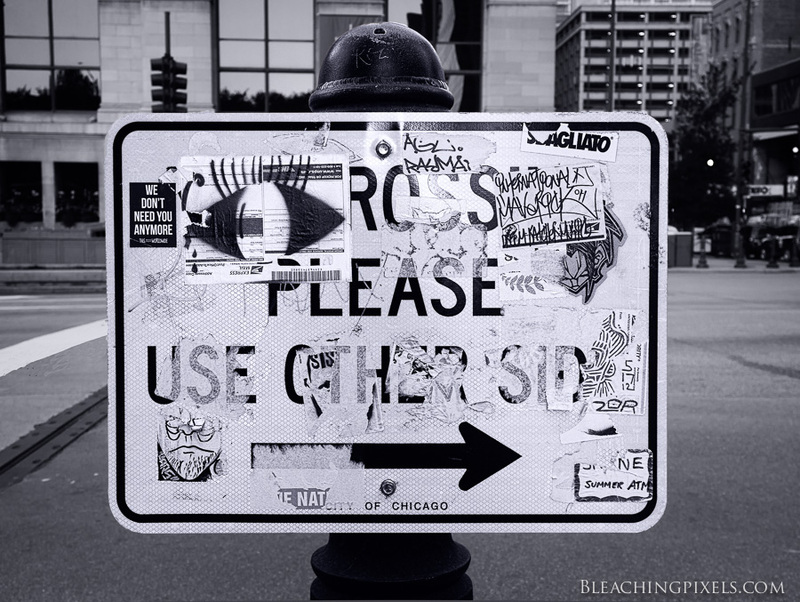 I think this is a fun image to look at because your eye wanders around on the interesting stickers on the sign. I hope you agree.